The Interior Department said it will extend a deadline for public comments, but not add any additional hearings. Now that the federal government is back in full operation, the Department of the Interior has resumed its public schedule for collecting comments about its plans to expand oil development over Arctic Alaska lands. Interior’s Bureau of Land Management on Wednesday announced dates for eight public hearings — seven in Alaska and one in Washington, D.C. — on the pending plan to sell oil and gas leases in the coastal plain of the Arctic National Wildlife Refuge. Those meetings, to run from Feb. 4 to Feb. 13, are intended to collect comments on the BLM’s draft environmental impact statement on ANWR oil leasing. The draft was released on Dec. 20, just two days before the partial government shutdown. Interior officials have said they hope to complete the EIS process quickly enough to hold a lease sale this year. The original public-comment timetable was deemed too short, however, and the BLM announced it has extended the period for comments on the draft EIS to March 13, a month beyond the original Feb. 11 deadline. “We received requests from Alaska communities and tribes as well as non-profit organizations from across the nation asking for additional time and meeting locations,” Joe Balash, Interior’s assistant secretary for land and minerals management, said in a BLM statement. The BLM did not extend the number of planned meetings. Those meetings are scheduled for Anchorage, Fairbanks, the North Slope communities of Utqiagvik (formerly Barrow) and Kaktovik and the Gwich’in Athabascan communities of Venetie, Fort Yukon and Arctic Village as well as in Washington, D.C. Although the draft EIS includes a no-action alternative, Interior has already pledged to sell off oil leases in the refuge’s coastal plain. That commitment was reiterated in the BLM statement. The agency also announced on Wednesday that it has rescheduled a public meeting on the proposal to rewrite the 2013 integrated activity plan for the National Petroleum Reserve in Alaska. The Trump administration is seeking to overturn Obama-era restrictions on oil development in that vast swath of territory on the western North Slope. The administration has launched the EIS process for its plan rewrite; that process is in the very early scoping stage, a precursor to compilation of a draft impact statement. A meeting in the Inupiat village of Point Lay on the Chukchi Sea coast will be held on Feb. 4, the BLM announced. That is the last in a series of eight scoping meetings that started in December. Three of those meetings, in the North Slope communities of Utqiagvik, Nuiqsut and Wainwright, were held during the shutdown. Interior was criticized for moving forward with oil-development planning during that period. The new chairman of the U.S. House Natural Resources Committee accused Interior of being insincere about its public-comment process for the National Petroleum Reserve. In a Jan. 17 letter to BLM Deputy Director Brian Steed, Chairman Raul Grijalva and Reps. Alan Lowenthal and Jared Huffman complained that the department has already decided to open up now-protected areas to leasing, including sensitive areas around Teshekpuk Lake, Arctic Alaska’s largest lake and an important wildlife habitat. One environmental group has filed a public-records request to get more information about some of Interior’s other oil-related work during the shutdown. 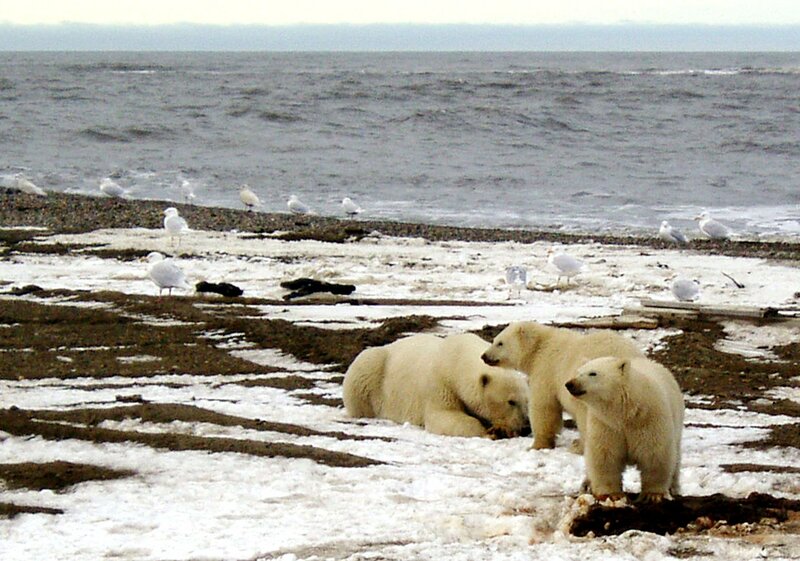 At issue is work conducted to advance the administration’s plans for expanded offshore oil and gas leasing, including leasing in Arctic waters. The Center for Biological Diversity cited a Bureau of Ocean Energy Management contingency plan that ordered employees to keep working on that project.